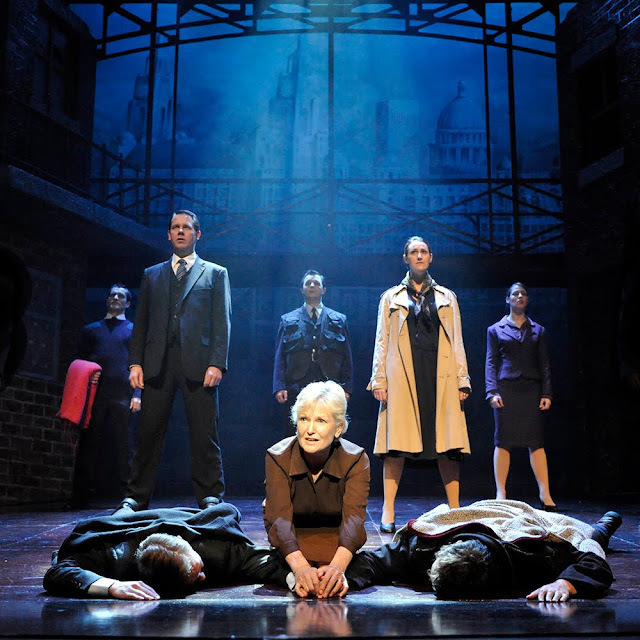 Willy Russell’s Blood Brothers is at Milton Keynes Theatre this week. One of the most popular British musicals of all time – this was my first visit to see this critically acclaimed show. Sitting amongst members of the audience that were on visit number 2, 3, 4, even 5…I had high hopes – and was not disappointed! Having been told the musical was ‘old school’ and a ‘weeper’, I was ready for a great & gripping story, some fantastic music and prepared for a few tears. By Act 2, it was easy to join in and hum along to Marilyn Monroe, which was sang beautifully by Lyn Paul as Mrs Johnstone. Also a goosebump-inducing rendition of ‘Shoes Upon The Table’ by Dean Chisnall as The Narrator got the audience cheering. The story follows Mrs Johnstone and her children as she struggles to look after the family. She gives away one of her new-born twins, Eddie, to Mrs Lyons who cannot have children and we see the differences as the two boys grow up in completely opposite circumstances. One grows up to a life of crime, struggles and depression whilst the other is privileged, well-educated and wealthy. Blood brothers forever after they meet by chance, although their mothers tried everything to keep them apart. They never knew they were twins until the day they died. A heart-warming tale of family, friendship, sticking together, not giving up but also how love and heartbreak can destroy you. With a fantastic cast that acted their parts perfectly, great music and stage settings, this show is definitely one to watch.